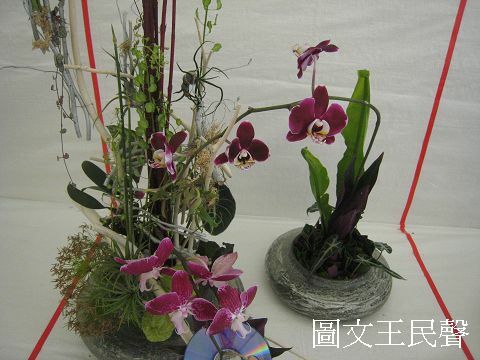 Flower arrangement art is through plants flowers the material modeling to manifest the flowers and plants respectively the vitality and beautiful. 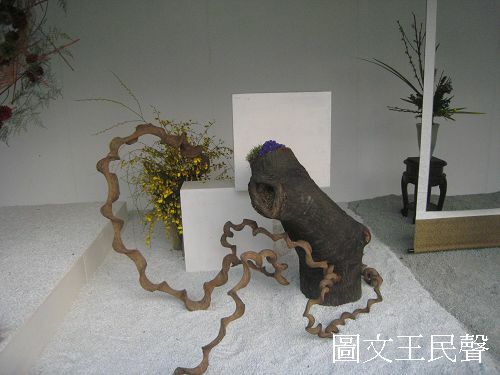 The colored material is refers to the flower arrangement the source material, or calls to cut the flower. Not merely but cuts the flower to stop is the flowers, cuts down the flowers, the flowering branch, the fruit-bearing branch, the branch, the leaf blade, the bud, the skin and root including the plant on and so on always called. Along with the world tidal current tendency, the flower arrangement art stratification plane delayed to the flowers and plants outside a broader scope. Not merely stops flowers and plants itself the selection and the color mixes the lining the relations, must emphasize the environment affective tone and the flower arrangement coordination which in the room arranges. Flower arrangement art includes: Offers flowers, the bridal bouquet of flowers, the birthday bouquet of flowers, the sweetheart bouquet of flowers, the graduation ritual bouquet of flowers, the hand ties up the bouquet of flowers, the decorative design, the present packing design, the holiday flower arrangement, different household utensils flower arrangement art, the boutonniere design, the bottle flower ornaments, the even small dish ornaments, the funeral decorates, the host ritual arrangement, the wall decoration arrangement, the potted flower ornaments, the dinner table design and so on.